A luxury development minutes walk from the station and shops. A two double bedroom first floor apartment with private balcony. 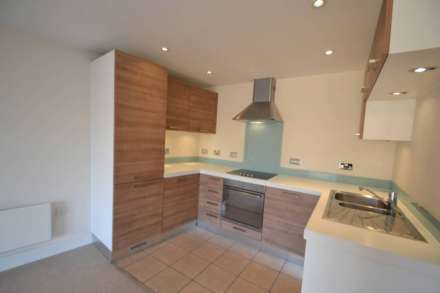 The property features a bright and spacious open plan living room/kitchen. Bi-folding doors from the living room to a private balcony. High spec fitted kitchen with granite work tops and integral oven/hob, dishwasher, fridge/freezer and washer/dryer. Two double bedrooms. Fantastic bathroom/WC with shower over bath. Oak Karndean flooring and under floor heating throughout.